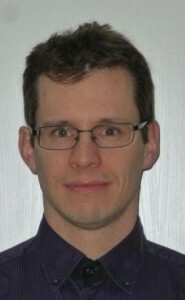 G. Ducournau received his MsC degree and PhD degree in 2002 and 2005, respectively. Since 2007, his is with IEMN. G. Ducournau is mainly involved in THz communications research using optoelectronic THz photomixers, THz instrumentation and imaging. He has >15 years of experience in the domain of optical fibers technology and THz instrumentation. In order to carry out his research, he developed several experimental setups dedicated to the characterization of optoelectronics and THz devices, THz Tx and Rx for communications. He is author or co-author of more than 110 publications in peer-reviewed international journals or peer reviewed conferences proceedings. He has worked on several ANR and European projects (ITN “MITEPHO” and STREP “ROOTHz”). G. Ducournau is actually the coordinator of COM’TONIQ project (2014-2017), where the main goal is the achievement of a THz system demonstrator based on photonic devices. – Lasers, photomixers, Schottky based devices. T. Nagatsuma, G. Ducournau & C.C. Renaud, “Advances in terahertz communications accelerated by photonics”, Nature Photonics 10, 371–379 (2016) doi:10.1038/nphoton.2016.65. Stefano Tammaro, Olivier Pirali, Pascale Roy, Jean-François Lampin, Guillaume Ducournau,Arnaud Cuisset, Francis Hindle, and Gaël mouret, “High density THz frequency comb produced bycoherent synchrotron radiation”Nature Communications 6, Article number: 7733 (2015)doi:10.1038/ncomms8733. Guillaume Ducournau, Pascal Szriftgiser, Fabio Pavanello, Emilien Peytavit, MohammedZaknoune, Denis Bacquet, Alexandre Beck, Tahsin Akalin, Jean-François Lampin, “THz Communicationsusing Photonics and Electronic Devices: the Race to Data-Rate”, Journal of Infrared, Millimeter, andTerahertz Waves, February 2015, Volume 36, Issue 2, pp 198-220. Guillaume Ducournau, Pascal Szriftgiser, Alexandre Beck, Denis Bacquet, Fabio Pavanello, Emilien Peytavit, Mohammed Zaknoune, Tahsin Akalin, Jean-François Lampin, “ Ultrawide-bandwidth single-channel 0.4-THz wireless link combining broadband quasi-optic photomixer and coherentdetection”, IEEE Trans. Terahertz Sci. Technol., 4, 3 (2014) 328-337, doi:10.1109/TTHZ.2014.2309006. Guillaume Ducournau, Pascal Szriftgiser, Denis Bacquet, A Beck, T Akalin, E Peytavit, MZaknoune, JF Lampin, “Optically power supplied Gbit/s wireless hotspot using 1.55 μm THz photomixerand heterodyne detection at 200 GHz“, Electronics letters 46 (19), 1349-1351 (2010).